If I didn’t already envy Zach Galifianakis for getting paid to tromp around in his skivvies and let his freak flag fly, I definitely do now. Justin Bieber was the latest victim to appear on Galifianakis’ Funny or Die web series, “Between Two Ferns.” Galifianakis got to ask Bieber all of the pressing questions the majority of the public has been dying to know. He began the interview by telling Bieber, “It’s really exciting to talk to you, especially in the middle of your public meltdown.” Now, it’s not easy to be a guest on “Between Two Ferns,” but Bieber could have handled himself a lot better. Not surprisingly, Bieber spends the majority of the interview sulking in silence, like the giant man-child he is. He attempts to play along at one point, he even attempted to beat Galifianakis to the punch. I thought I was in heaven as Galifianakis attacked Bieber’s poor music, hairstyles and recent public faux pas including publicly peeing in a bucket and leaving a controversial entry in Anne Frank House guest book. Then it got better: Galifianakis took my Bieber-crushing sundae and dumped the entire jar of cherries over it. In a moment of what seems like pure ecstasy, Galifianakis takes off his belt and spanks Bieber. Viewing this was a profound moment for me. 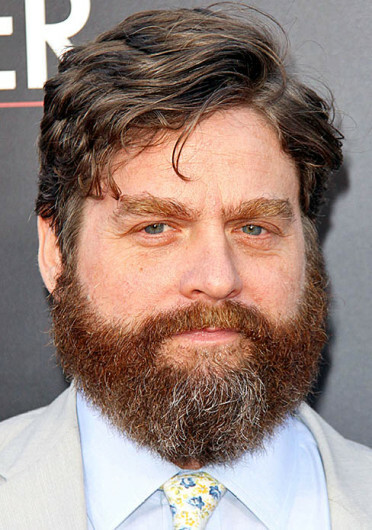 I learned Justin Bieber is a horrible actor and more importantly, I am in love with Zach Galifianakis. Thank you, Zach, Thank you. Alec Baldwin is many things: Actor, comedian, talk-show host, and now, the world’s best husband. Baldwin assisted his wife, Hilaria Baldwin, with a prenatal yoga video that became available for purchase Tuesday. 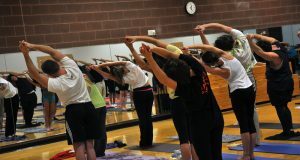 Now, ladies I don’t know if you’ve ever tried to get a man to go to yoga with you – let alone video tape it – but it is not easy. While it is commendable of Baldwin to assist the mommy-to-be, it is clear the funny man has not found his Inner Om just yet. When Baldwin appears to help his wife with a partner stretch, it immediately brings flashbacks of the tantric yoga scenes from the comedy “Couples Retreat.” Baldwin fans probably hoped the “30 Rock” star would fast one on his wife, but he just peers over her shoulder with a look that either says, “This better buy me nine holes and a pastrami sandwich,” or “I should’ve listened to my father.” It depends on how much you read between the forehead lines.